The president's office of the Formentera Council reports that next week will see the reappearance of a law-enforcement figure which had recently been absent from local schools: the liaison officer. 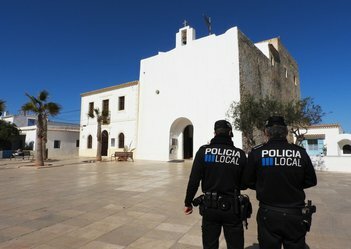 President's office secretary Bartomeu Escandell attributed the service's revival to the efforts of Formentera's local police, describing liaison officers as “crucial for the community and for young people in particular”. The phase-in will take effect on Monday September 17, and will find the officer placing calls to contacts at schools, associations and offices of the public administration related to the service. The liaison officer, also known as a policia tutor or policia referent in Catalan, is a member of the local police who collaborates with educational staff and social services agents while retaining the authority of law-enforcement agents. Such officers are specially trained, with instruction in domestic and school conflict resolution and preventing risk behaviour in young people. Liaison officers work in schools and other public places and are often enlisted to deal with issues related to information technologies. Formentera's liaison officer will oversee surveillance, prevention work involving minors and cooperation with social work professionals. The officer's purview at schools will extend to truancy, classroom conflict or in-school crime, drug and alcohol use, bullying and illicit uses of social media. A second officer will work with schools to oversee road-safety education. The officer will also work with Formentera Council's social services department and the Guardia Civil as necessary. Education secretary Susana Labrador hailed the reinstatement of the liaison officer as “a pivotal part of effective prevention and youth engagement”, pointing up “talks, conferences, patrols at the start and end of school days and a host of other important work”. The figure of the liaison officer has been championed by the Council's safety, education and social services departments and is the result of close collaboration between the institute of public safety (ISPIB), part of the Balearic ministry of public institutions.